Each year the St Vincent de Paul Society holds a national event, the Vinnies CEO Sleepout, to raise awareness of the growing issue of homelessness. It challenges business and community leaders to sleep rough for one night and raise funds to combat the issue. Housing costs are a major driver of poverty and disadvantage in Australia. With property prices and rental costs rising over the last 10 years at twice the rate of inflation, housing is the biggest expense for Australian households. A decline in social housing stock and a shortage of properties for rent in the private market for households with very low to moderate incomes is contributing to people being at risk of homelessness. Unregulated rooming houses, motels and caravan parks are not a solution – such options are often unsafe and or unstable. Domestic and family violence is the number one reason why women and children seek support from us and other specialist homeless services. Experiencing homelessness can trigger and exacerbate mental illness - people who are homeless are more likely to suffer from severe mental health issues than the rest of the population. Aboriginal and Torres Strait Islander Peoples are 13 times more likely to be homeless than non-Indigenous Australians. Of the 10,900 young people aged 12 to 18 who are experiencing homelessness, most have experienced family conflict, breakdown or violence. The issues are complex and multi-dimensional, and sadly the incidence of homelessness is increasing. Around 280,000 people sought help from homelessness agencies over the 2015-16 financial year, a number that has increased by nine per cent in just twelve months. The record demand on the homelessness sector means many people are turned away due to a lack of resources. The Vinnies CEO Sleepout is your opportunity to make a difference. 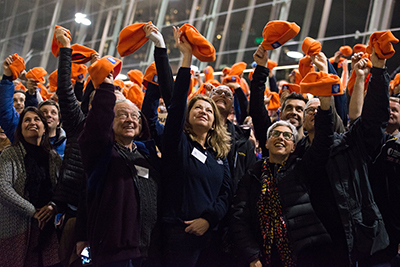 Since its inception in western Sydney in 2005, the CEO Sleepout has raised more than $30 million to assist Vinnies homeless services around Australia. You can support the event or a participating CEO by making a donation or register to participate in the event. For more information go to the Vinnies CEO Sleepout and join us in rising to the challenge!